Today, we’re extremely happy to welcome an amazing guest on the show who has a major influence in the LA Food Scene and the growth of food trucks in general! Shawna Dawson co-founded the LA Street Food Fest, founded Artisanal LA (a really cool community event supporting artisanal food entrepreneurs), and also runs Sauce LA, a marketing and PR group for chefs, restaurants, and small businesses. She also worked at Yelp in 2009 as a Director of Marketing/Community Manager. She was right there when food trucks were taking off in Los Angeles in 2008, and as a result of her passion for food and her entrepreneurial spirit, she’s helped to shape how we all view food trucks today. 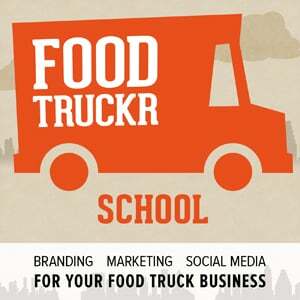 You’ll hear her story, how the LA Street Food Fest started (and set the bar for other food festivals around the nation) plus several incredibly valuable tips for those who are starting their own trucks, or already have a food truck of their own.